At 22, the war is over for RAF serviceman Harry Leslie Smith - the now 92-year-old activist and author of the acclaimed Harry's Last Stand - but the battle for love and hope rages on. 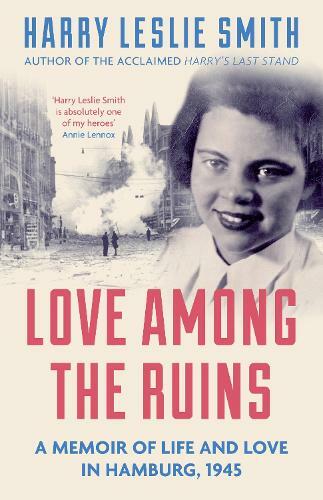 Stationed in occupied Hamburg, a city physically and emotionally ripped apart by Allied bombing, and determined to escape the grinding poverty of his Yorkshire youth, Harry unexpectedly finds a reason to stay: a young German woman by the name of Friede. As their love develops, they must face both German suspicion and British disapproval of relations with `the enemy'. Harry's ardent, straight-from-the-heart memoir brings to life a city reduced to rubble, populated with refugees, black marketeers, corrupt businessmen and cynical soldiers. It's a unique snapshot of a terrible period in Europe's history, and a passionate love letter to a city, to a woman, and to life itself.